Appearance (0-20): The overall look was simple. The wrapper was medium brown, and covered with tons of very small veins. It was well packed, and somewhat spongy to the touch. I smoked this a day after receiving it, so it could have been over humidified for shipping purposes. The band was nothing special, with simple writing and various colors. Construction (0-20): For a cheaper stick, this really surprised me. The ash was a vibrant white color that I generally only see in more premium sticks. 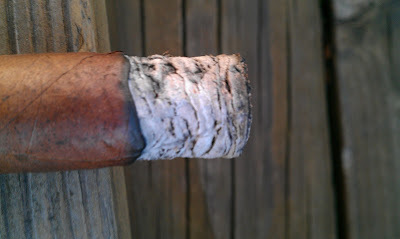 The ash construction was great too, as there were almost no coils or crack. Additionally, it stood tall and straight for close to 2 inches. Nicely done. Strength (0-20): This one is listed as a full cigar. After smoking the whole thing, it really seemed like a sick joke. If this is a full cigar, than a Padron has no flavor. I think you get what I mean. The first ½ inch has great flavor and heft, and then it shoots straight down to mild or mild-medium. Definitely disappointed. Flavor (0-20): From the first few puffs, I was pretty happy. It begins off earthy and spicy. Most of these flavors subside after the first 1 ½ inches. 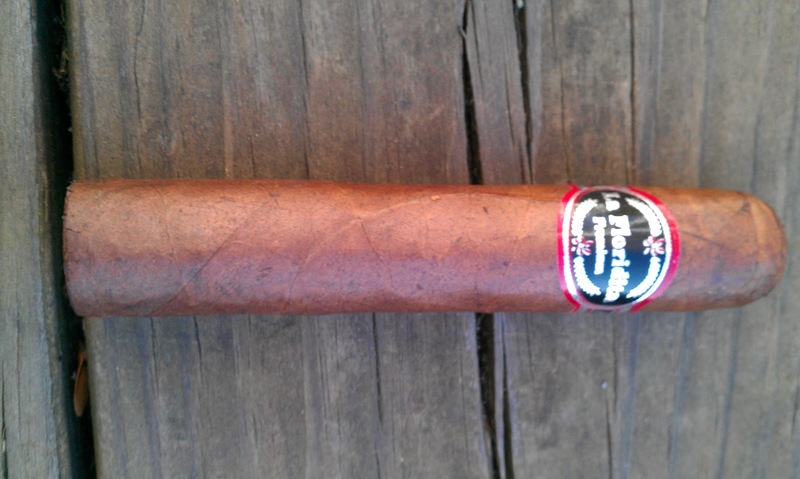 For the remainder of the stick, there are strong notes of earthy, cedar, and cream. The final 1 ½ inches were somewhat bitter, but they went away after a quick purge. Value (0-20): The single stick price is $5.00, and $15.00 for a 5 pack. For a cheaper stick, the $2.00 price difference is huge. I would certainly not recommend this for $5.00, but $3.00 makes it acceptable. This still would not crack my top 5 smokes under $5.00 unfortunately. Overall (0-100): When I first began smoking this, I was pretty excited. 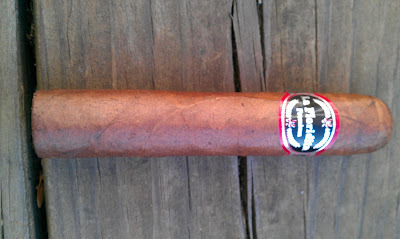 The flavors and fullness were surprising and I was expecting them to continue for much longer throughout the smoke. The real downfall was that they subsided so quickly. The rating would have been much higher if the heft lasted at least half of the stick. Would I recommend this cigar to someone for retail? No. Would I pay $3.00 for it? Possibly. Would I smoke it again? Yes, for free or very cheap. Thanks for the review Ryan. After reading your review I can only assume that the pairing with Dr. Pepper helped the flavors. It's really a shame that the flavors didn't follow through the whole cigar. It probably would have been a mid-80s stick, if not for the diminishing flavors. Do you recommend any sticks have are pretty peppery? What would be your Top 5 under $5?